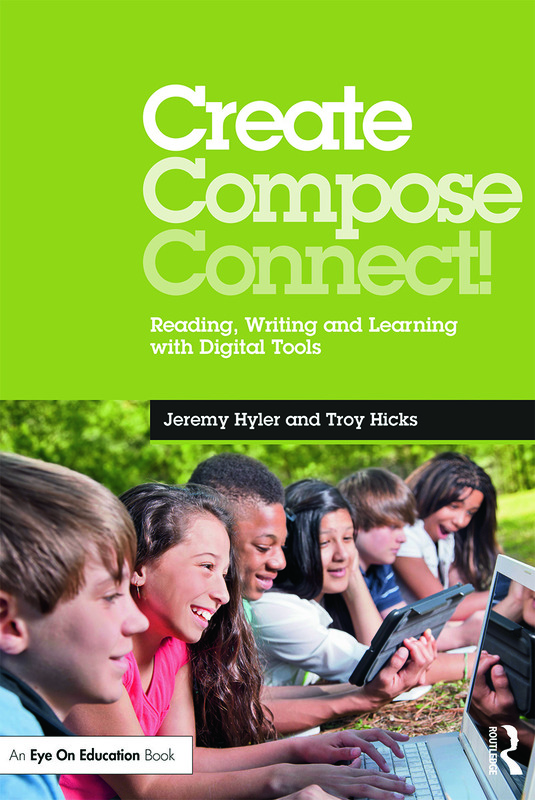 For a number of years now, I have been wanting to provide elementary colleagues with a book that offers a glimpse inside a classroom that runs as a digital writing workshop, one that truly embraces the principles of writing workshop pedagogy while integrating digital writing tools into day-to-day literacy practices. 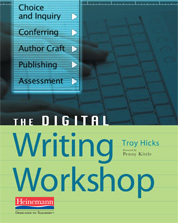 I have been fortunate to connect with many elementary educators who embrace the writing workshop approach with digital writing tools, but hadn’t yet seen a book that captured, in words and images, what a digital writing workshop might look like. Then, last year, I found out that Katie Muhtaris and Kristin Ziemke were working on a book to be based on some of the techniques and strategies they share in their blog, “Innovate Ignite Inspire.” Knowing that they were doing this kind of smart work with their kids, I have been eagerly awaiting their book. The result is Amplify: Digital Teaching and Learning in the K-6 Classroom. Now, having met Kristin quite some time ago at a Michigan Reading Association conference, I knew that she was an educator who was a bit skeptical about the use of technology, but wanted to integrate tech in productive, responsible ways. 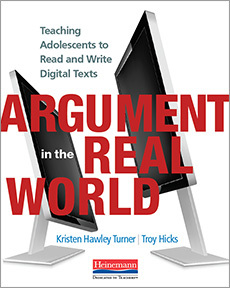 Or, as Stephanie Harvey describes it in the foreword of the book, though Katie had been enthusiastically integrating technology in her classroom for number of years and, subsequently, Kristin would “peek in, curious about how tech platforms might enhance learning in her first-grade classroom, but not entirely convinced” (vii). These principles align with their overarching goal — “Technology in the classroom fits easily into this hands-on approach to learning (the writing workshop): our students should be the ones using it” (5). They back these principles up with numerous examples, and I especially appreciate the way that they create “technology anchor charts” in much the same way they would when exploring a new genre, discussing reading strategies, or documenting a process. Also, they describe how they adapt the workshop model by adding in the element of “play” before a mini lesson. “Play,” they contend, “is collaborative, experiential, tactile, and active,” all ideas that lend themselves well to using technology (33). The book itself takes the voice that we have come to expect in all Heinemann titles — respectful of teachers’ time, knowledge, and needs for high-quality professional learning and growth. Rather than providing a buffet of tech tools, Katie and Kristin actually focus their efforts on just a few key tools and processes: capturing ideas with Padlet, engaging students in a backchannel with Today’s Meet, teaching them how to record voice and video with a webcam and microphone. Throughout the book, there are suggestions that a teacher can “try tomorrow” with minimal technology knowledge. Amplify has provided elementary teachers a glimpse into the workings of what I would call a digital writing workshop and what Franki Sibberson has recently begun to call a “digital reading workshop” in Digital Reading: What’s Essential in Grades 3-8. Though I am curious as to why Katie and Kristin do not use that language, I imagine that they avoid adding the “digital” label to the work that they do for good reason — to keep the focus on reading and writing, thinking and learning. 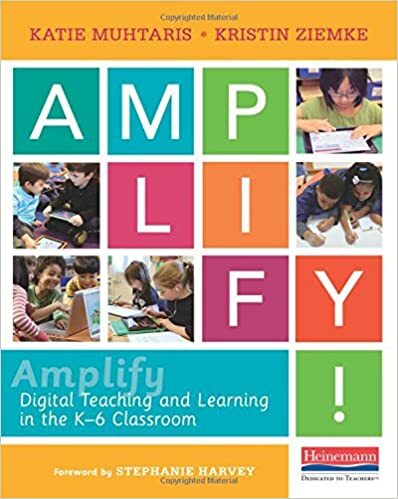 As we all continue to think about ways in which we can purposefully bring technology into the K-6 classroom, Amplify provides us with both the principles and practices for doing so. NOTE: While I am a Heinemann author and did request a complimentary copy of this book, please know I am writing this review independently, not at the request of Heinemann or the authors. Update: 12/10/15, 11:33 PM – Katie was kind enough to point out that I transposed two letters in “Padlet,” so that has been corrected. Here at the eleventh hour, I am submitting my response to the White House’s “Advise the Advisor” survey. While I don’t really agree with the ways that they have framed the questions, I am sharing my responses here. Hope I get news of this much earlier next time so that I have time to compose longer, more thoughtful responses. Parents: Responsibility for our children’s education and future begins in our homes and communities. What are some of the most effective ways you’re taking responsibility at a personal and local level for your child’s education? Along with the traditional modes of volunteering for field trips and working concession stands, we are also inviting our own children to take typical kinds of homework assignments and infuse them with new technologies. For instance, when our son was asked to write a list of ways he used and conserved water in the house, he took a digital camera and documented all the ways we use water, presenting his final work in an online slideshow. We talk with our children’s teachers about ways that they can use technology to support critical and creative thinking. Teachers: President Obama has set a goal of having the highest proportion of college graduates in the world by 2020. How are you preparing your students for college and career? What’s working and what challenges do you face? As a teacher educator, and a Director of a site of the National Writing Project — the Chippewa River Writing Project at Central Michigan University — I see the challenges that teachers face as they are asked to “cover” mandated curriculum in ways that stifle student writers. I unequivocally encourage you to reinstate funding for the National Writing Project, as it is both the most cost-effective and professionally powerful way we can use federal dollars. Each site has at least a one-to-one match of local dollars to the federal grant, and we need to have high-quality professional development for all teachers if we ever expect our students to be strong writers and be prepared for college and career. Students: In order to compete for the jobs of the 21st century, America’s students must be prepared with a strong background in reading, math and science along with the critical thinking, problem solving, and creativity needed to succeed in tomorrow’s workforce. How has your education prepared you for a career in the 21st century? What has worked and what challenges do you face? My children would tell you about their experience in their elementary school where they are enrolled in a Chinese Immersion/International Baccalaureate program. They are, in all senses of the word, being educated in a “global” manner — through language, culture, math, social studies, science, reading, and service learning. We need to stop forcing our schools to compete for funding and, instead, share enough resources with all schools so that they might develop innovative programs like this. I hope that one more voice added to this dialogue helps… now, I look forward to engaging in professional conversations during a great weekend at MRA 2011. Future teachers (college students now) use blogs and wikis to share their own writing—so they can someday help their own students do the same. 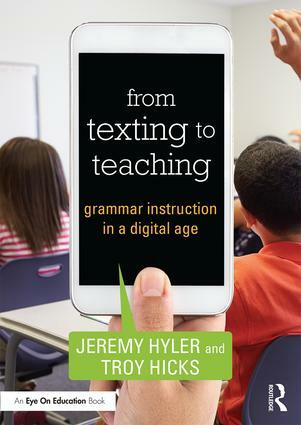 “Teachers are teaching the digital generation,” explained Troy Hicks, assistant professor of English Language and Literature at Central Michigan University, where he instructs preservice teachers. Earlier this year, I was interviewed by a reporter for the MEA as a part of their special issue on teaching with technology. The interview was an hour long, and very engaging, so the very short quote here seems to just barely scratch the surface of what we talked about. That said, I am honored to be featured in this publication along with my friend and colleague Dawn Reed. 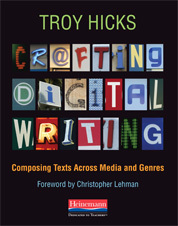 Given the many conversations that I have had with colleagues over the past few months about the uses of digital writing, and especially with my own pre-service teachers in ENG 315, I am becoming more and more encouraged that this is becoming a part of the discourse in educational circles. 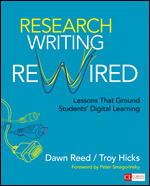 For instance, at MRA a few weeks ago, one of the comments about our session on writing across the curriculum was that a participant wished she could have heard more about the digital writing tools I was suggesting in order to support that work. So, thanks to the MEA for featuring me in their article and to everyone who continues to push technology and writing in new directions. As always, I am enjoying the continuing conversation.